SP Metal we carry a full inventory of ASTM A312 TP310 Stainless Steel Seamless Pipe and Supply TP310s Stainless Steel Seamless Pipe austenitic chromium-nickel stainless steel pipe suitable for corrosive or high-temperature service, or both, or for general applications. 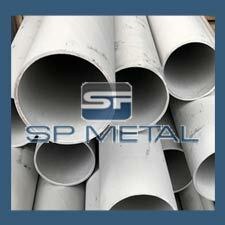 SP metal is leading ASTM A312 UNS S31000 Seamless Pipe Manufacturer. we offer high quality 310 SS Seamless Pipe, DIN 1.4301 Seamless Pipe, UNS S31000 Seamless Pipe lower cost but the best service. An ISO 9001:2008 certified company, SP Metal supplies a wide range of ASTM A312 TP 310 Stainless Steel Seamless Pipe to customers across world. Our focus is on providing customers with high end steels that are not rolled or stocked locally.We are leading 310 Seamless Pipe manufacturer in India . These grades of austenitic stainless steels are the most versatile and widely used stainless steels. They exhibit excellent corrosion resistance to a wide range of corrosive environments. We are Manufacturers & Suppliers of Thin wall stainless steel 310 Seamless pipe in India. Looking for trusted dealer & distributor for 310 Seamless Thin wall pipe in India? Information for those interested in buying Thin wall 310 Seamless pipe. India’s Largest stockholder of SS 310 Thin wall Seamless Pipe offer best price in India. We are Manufacturers & Suppliers of ASTM A312 TP310 Stainless Steel Seamless Polished Pipe. Looking for trusted dealer & distributor for ASTM A312 TP310 Seamless Polished Pipe in India? Information for those interested in buying 310 Seamless Polished Pipe. India’s Largest stockholder of SS 310 Seamless Polished Pipe offer best price in India. We are Manufacturers & Suppliers of ASTM A312 TP310 Stainless Steel Decorative Seamless Pipe in India. Looking for trusted dealer & distributor for 310 Seamless Decorative Pipe in India? Information for those interested in buying SS 310 Seamless Decorative Pipe. India’s Largest stockholder of 310 SS Seamless Decorative Pipe offer best price in India. 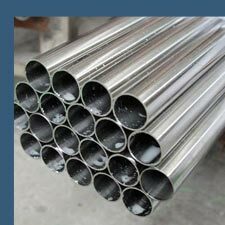 Range of Stainless Steel 310 Seamless Pipe according to ANSI/ASME 36.19M - 310 SS Seamless Pipe. ASTM A312 TP310 Stainless Steel Seamless Pipe as per #4 Polish, #6 Polish, #7 Polish or a #8 mirror finish. Stainless steel polished pipes can also be cut to size. 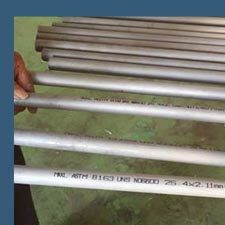 Bevel ASTM A312 TP310 Stainless Steel Seamless Pipe to prepare for welding or other processes. Above table represents that we keep in stock 310 Seamless Pipe, SS 310 Seamless in form of Pipe. Other sizes can be made available on request.